ECLECTIC MODERN DESIGN: Utilitarian-chic dark metal box frame with brown woodgrain top adds some cool funky design to your home décor! 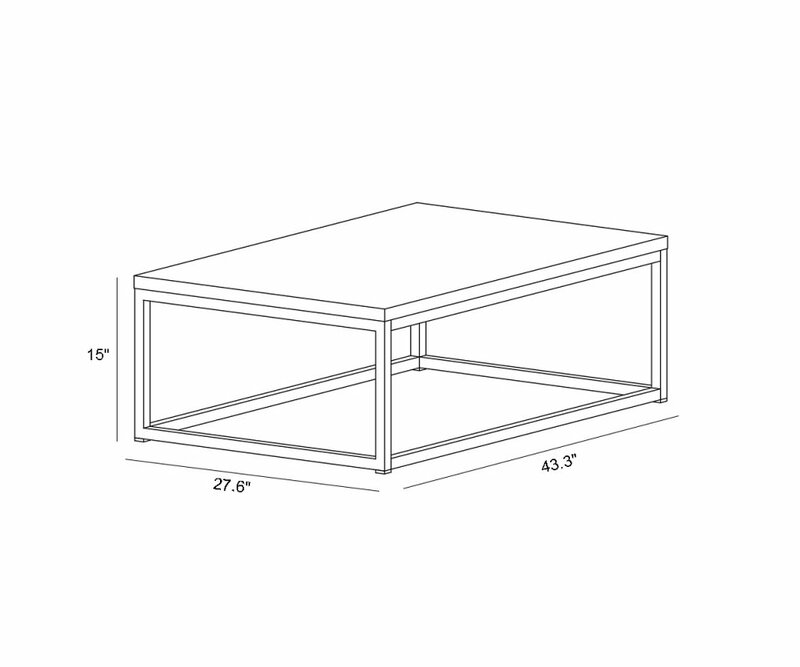 LARGE TOP SURFACE: At 43.3"x 27.6", there’s room on this coffee table for serving snack and appetizers, playing board or card games, or setting down your remote or gaming equipment. QUALITY CONSTRUCTION: Premium veneer finish and heavy-duty metal framework will resist scratches, dents, rusting, water rings and stains, so it will last for years! 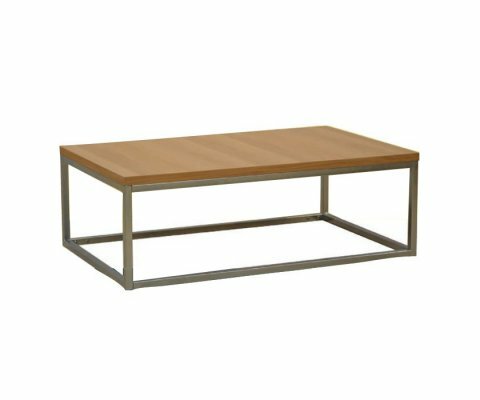 STURDY STYLE: Box-style framework gives all-over support and makes this coffee table that won’t wobble or shake…great for serving drinks! ECO-FRIENDLY PRODUCT: Designed and manufactured by France-based Parisot Company, this product is manufactured with low solvent emissions, using only wood from eco-managed forests, and recycled packaging.